February 10-11th, 2017. Management aspirants from Shri Ram Murti Smarak International Business School, Lucknow headed to the stunning Jim Corbett National Park for two days of wild abandon and rejuvenation. Located at the foothills of the Himalayas, the national park is home to a range of wildlife, including, of course, the Tiger, which remains a huge attraction. It’s not surprising that thousands of tourists visit the park to take in the natural beauty and escape from their hectic lives. The trip also offered students of the B School an opportunity to unwind and de-stress. 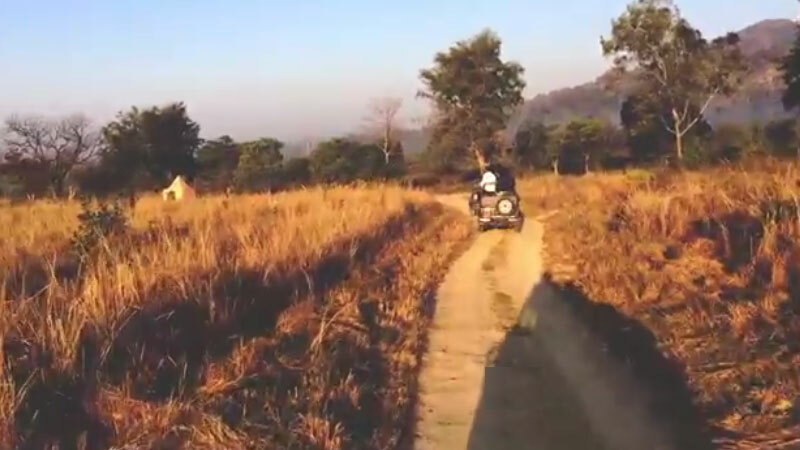 They were buzzing with energy and excitement as they made the trip to Ram Nagar, a short drive from Jim Corbett National Park. Their guided safari began at dawn, and the open-air jeeps they travelled in added to the mood and excitement of their trip. Well-informed guides acquainted them with the history of the National Park. They were also given information about different birds and animals they encountered on their way. Throughout the safari, the students came across gorgeous sights that took their breath away. While in the area, students also had the privilege to visit the Garjiya Devi Temple, which is a sight to behold. Overall, the trip was rejuvenating and filled with memories that students will cherish for long.